Rats, through the centuries, have been vilified by humans. Maybe they gained their notorious reputation because of the bubonic plagues which spread through Europe, via ridesharing fleas. In the 21st century, these rodents have been the subject of lab tests. Perhaps an unintended consequence is that we now understand their behaviors better, and therefore realize that we may have unfairly judged them. 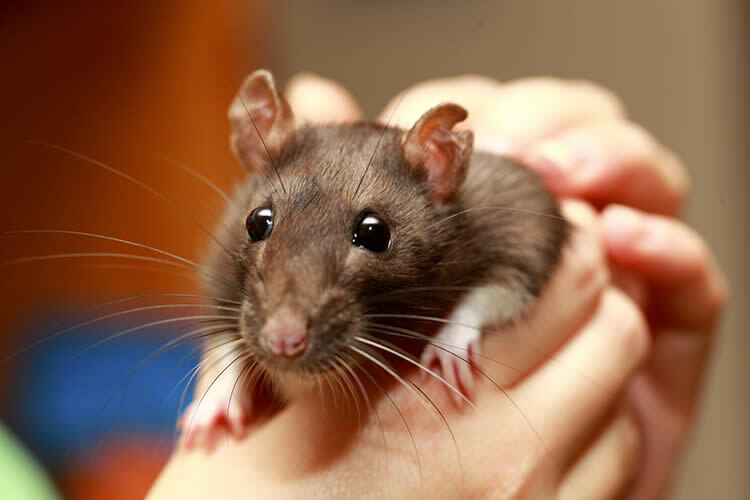 Rats are very intelligent, which is one reason why many live their short lives in a lab. They are highly trainable, adaptable, and eagerly learn. They have survived for so long, in such abundant numbers, because of their ability to search for and find new food sources, and live off of substandard nutrition. Finding warmth and shelter is also a skill rats possess. Being highly sociable creatures facilitates their existence. Although counterintuitive, scientists have observed that rats have learned to free their fellow prisoners, even at the risk of losing a food reward. This may be an instinct which goes along with being a highly social creature. Even so, these tendencies should make us rethink whether we are drastically underestimating the sentience that rats have. Fortunately, there are rescues dedicated to harboring rats and finding adoptive families for them. By all accounts, rats are friendly, playful, and even cuddly. Rat-parents, who previously detested rodents, grew to be fond of their charges. They were pleasantly surprised by their neatness and friendliness. As a bonus, rats were less likely to bite than their rodent relatives—guinea pigs and hamsters. Because rats continually need intellectual stimulation, rat-parents never grew weary of their antics. Why Have a Rat as a Pet? Rats easily breed, and consequently, their numbers are uncountable in any given area on this earth. Family-owned and chain pet stores only add to the gross overpopulation because the rats are not kept apart, and breed in captivity. Then, they are sold as either pets or food for other rodent-eating pets. Rescues obtain rats not only from laboratories, but also from unintentional breeding in captivity. People can be part of the solution by adopting a rat from a rescue. As mentioned before, rats are friendlier and less inclined to bite people than hamsters and guinea pigs. Nevertheless, they have approximately the same life span (2-4 years). Thus, rats may be more suitable for people who do not want the long-term commitment of having a dog or a cat, but still would like companionship from an active and engaging animal. If you decide to adopt a rescue rat, caring for them will be quite simple. They require a large cage, with many toys and activities. Their diet consists of fresh water, fruit, and vegetables, but you should also keep food on hand that is specifically made for rats and mice. Lastly, because their teeth constantly grow, they need something to chew on, such as a hard dog biscuit or chew toy. Pet stores also carry wood chews. Those who would like to further the cause of ending lab testing on rats may want to take on such a pet. This action might demonstrate to friends and neighbors that their previous assumptions about rats might have been wrong. It is clear that there are plenty of rats needing homes and a bit of compassion from humans.